In this fresh update, we've made numerous changes to the reports to present you with new interesting and useful statistics. 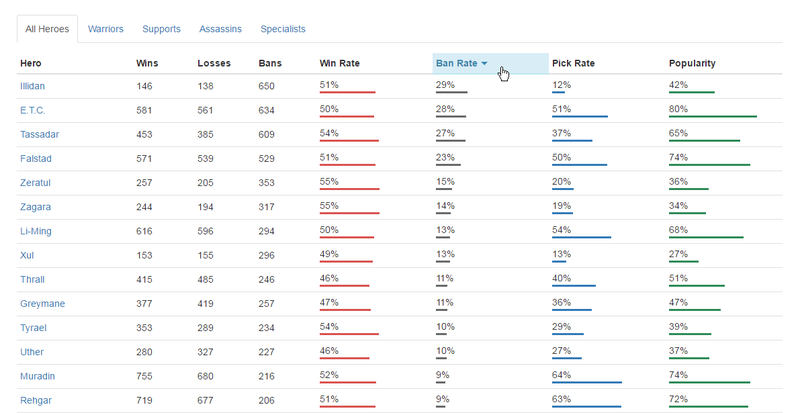 First of all, we have substantially reworked and extended the meta-report. To avoid adverse effects on performance due to increased amount of statistics shown, we had to break up the report into subsections grouped into corresponding tabs. Moreover, we have improved the filtering, adding selection by heroes and a flag selecting main stage matches only, leaving out qualifiers. The latter is particularly useful if you want to check the statistics of matches between the strongest teams, excluding the influence of the matches between weaker teams and short-lived teams that didn't pass the qualifiers. 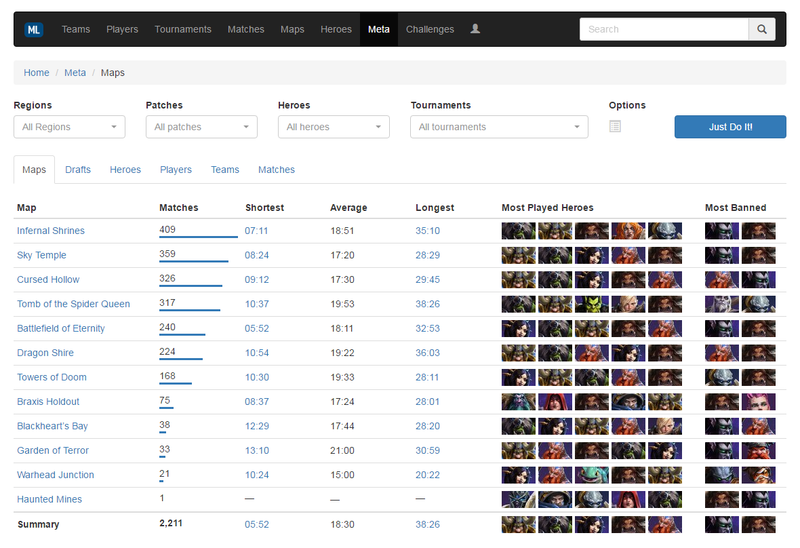 Filtering by heroes makes it possible to obtain statistics on one or more heroes playing for one of the competing teams, and allows to evaluate the efficiency of heroes working together. 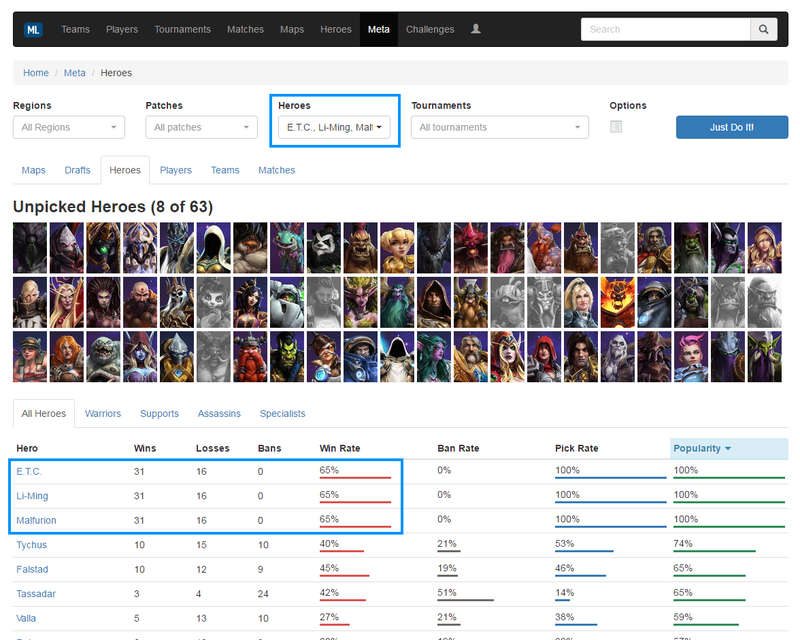 For instance, you can check how ETC + Malfurion + Li-Ming are performing, on which maps they are most often to be seen together, corresponding win rates and match lists. 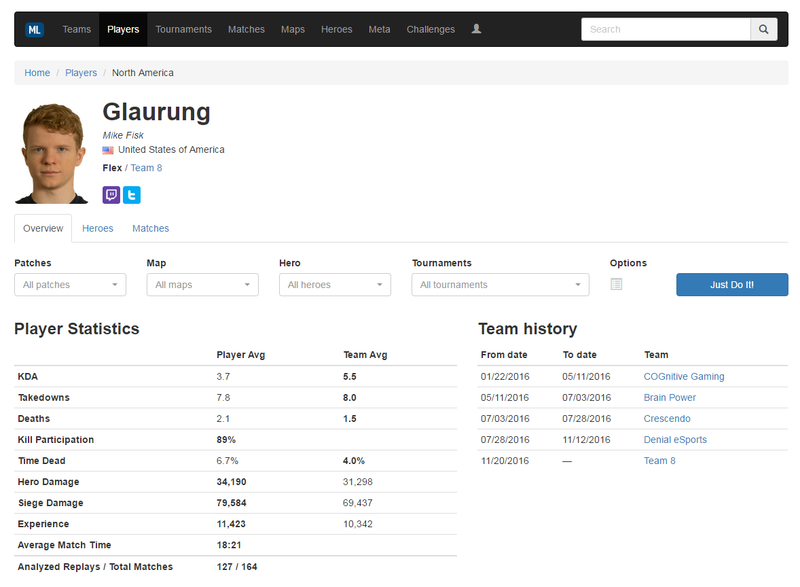 Same reporting functionality is now also available on the tournaments and maps pages. In other news, we have overhauled the players pages. Added are statistical parameters reflecting the performance of the player and his heroes. For each of the player's heroes, we've broken down the PPR value into individual components, such that you could appreciate different aspects of its efficiency. Of course, it all comes with a rich filtering functionality. 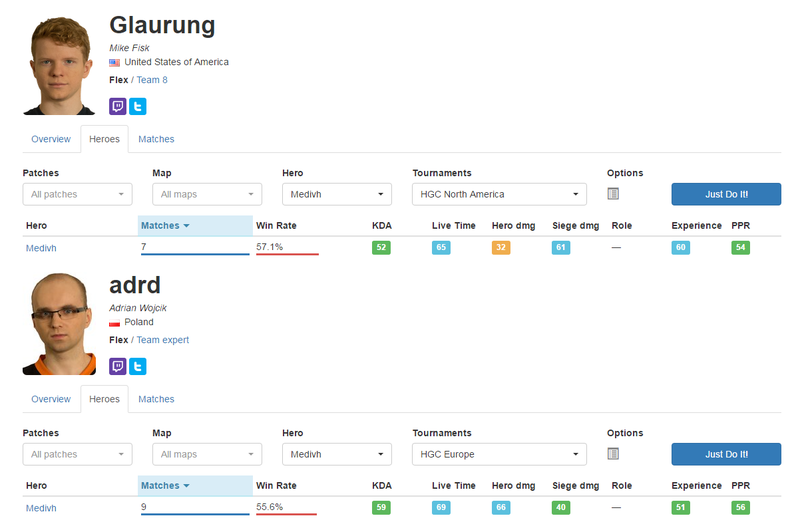 For instance, when comparing Glaurung and adrd, two famous pros playing Medivh, one notices that they have approximately the same PPR, but their playing styles are markedly different. Glaurung favors experience soaking and push, whereas adrd prefers teamfights. Please keep in mind that estimating KDA, mean damage, match length, etc. is not possible without replays, which, unfortunately, are not available for all matches. Don't forget about that when drawing your conclusions on the basis of our data. Also, remember that many tables allow you to change the sorting order by clicking on the corresponding column, which makes it possible to view different cross-section of the report at the same time. We hope that you will enjoy our new update! If you find any bugs or have suggestions for improvements, please let us know in the comments section. Previous changelog: Try out our new commenting system! Holy Crap, this looks awesome! Good Job!